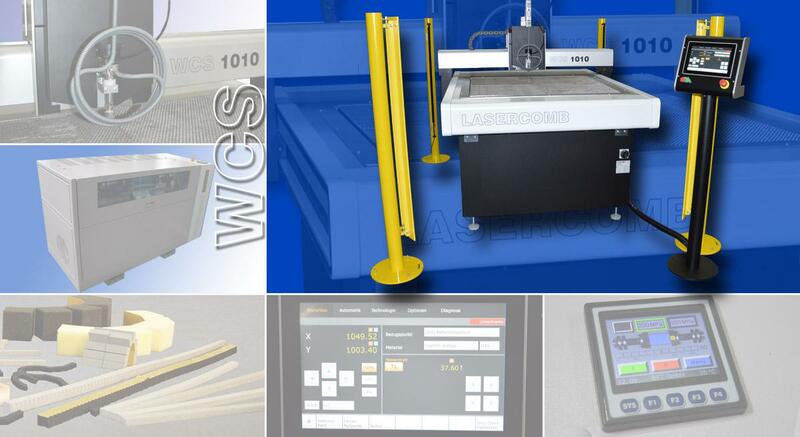 The WCS water jet system cuts materials from 1 - 50 mm height with a non-abrasive water jet and up to 4,000 bar. The machine is especially designed for the production of ejector material for dies. It produces a perfect and accurately contoured rubber coating with high productivity. Your water jet cutting machine WCS can be adjusted for your requests by means of various additions. Therefor the following options are available. High-pressure pump Ecotron 30.08 with manual pressure control. Working pressure max. 3000 bar, flow rate 0,8 l/min. Usually, this pump is a cost-effective and absolutely sufficient choice for the manufacturing of ejection rubbers.